It’s always an issue with new operas: Is there life after the premiere? 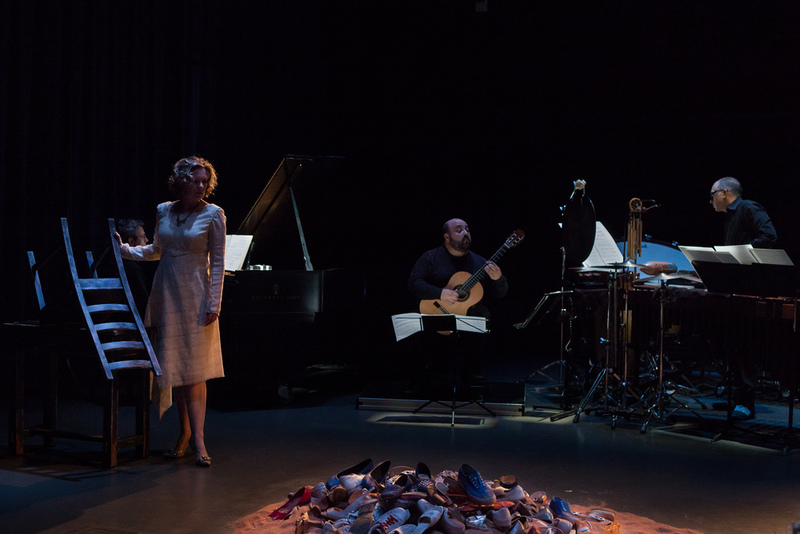 Too often, it’s one production and done.“Cuatro Corridos,” however, the remarkable chamber opera by composers Lei Liang, Hilda Paredes, Arlene Sierra and Hebert Vázquez with text by Jorge Volpi, will live beyond its sold-out premiere last May at UC San Diego. Conceived by UC San Diego soprano Susan Narucki, the collaborative project focusing on human trafficking will be presented at 7 p.m. Sept. 28 at Tijuana’s IMAC (the Municipal institute for Art and Culture). Narucki will be performing with percussionist Ayano Kataoka, pianist Aleck Karis and guitarist Pablo Gomez (Karis and Gomez, with percussionist Steve Schick, played the premiere). The one-hour work recounts the stories of four women “trapped in a cycle of forced prostitution and slavery in and around the San Diego/Tijuana border region.” Each of the four composers takes on one of the four women; all are portrayed by Narucki. Turista Libre, which specializes in cultural day trips in Northern Baja, has put together a package that includes bus transportation in and around Tijuana, dinner and drinks at the La Corriente Cevicheria Nais, a brief tour of the downtown “pasajes,” and the chamber opera performance and post reception. For more than three decades, Susan Narucki has been devoted to contemporary music.She’s sung more than 100 premieres of new works with collaborators that include nearly every significant conductor, orchestra, music festival and new-music ensemble.